For Father’s Day, we ordered Pizza Hut take away, tonight. 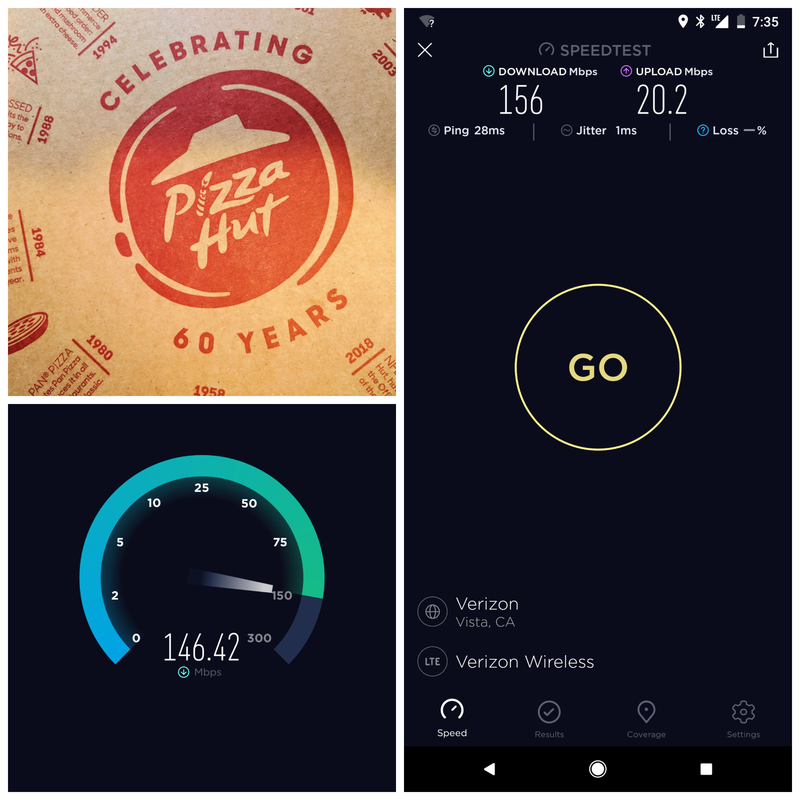 As I sat waiting for my pie, I pulled out the phone and ran a couple speed tests. Well, you can see the results. And to think I had been thinking about switching carriers to save a few bucks a month. My wired home Internet often doesn’t blaze like this.